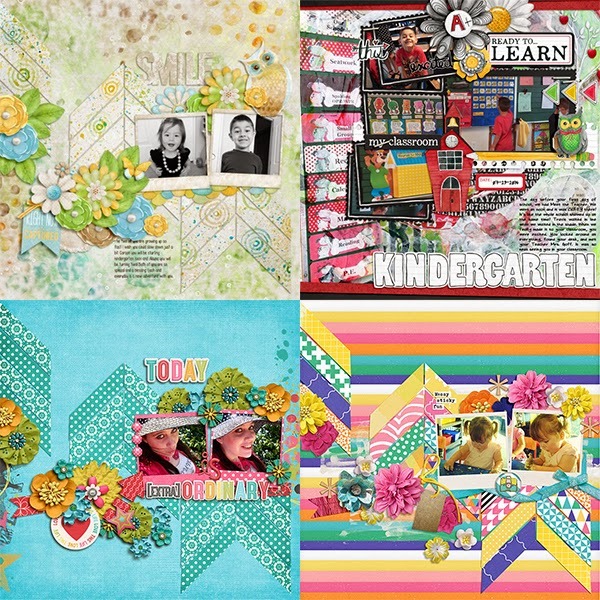 Fuss Free: Pennants 7 and Fuss Free: Pennants 8 are template packs filled with a variety of hand cut pennant shapes and topped with layers of elements to help you tell your winning story from beginning to end. 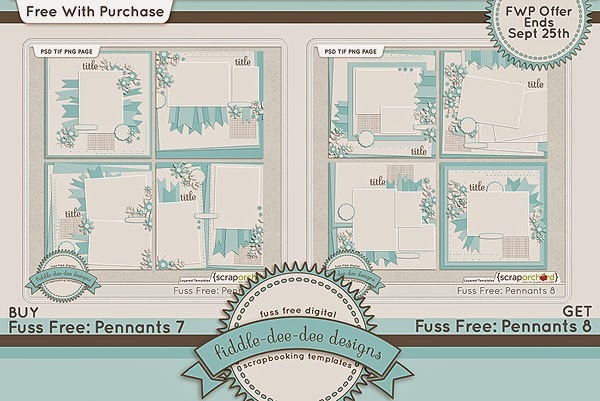 Purchase Fuss Free: Pennants 7 and receive Fuss Free: Pennants 8 for free! Offer valid through September 25, 2014. I've made some changes to my website so you can navigate to frequently accessed content quicker and easier, as well as allowing my weekly posts to remain clear of repeat material. 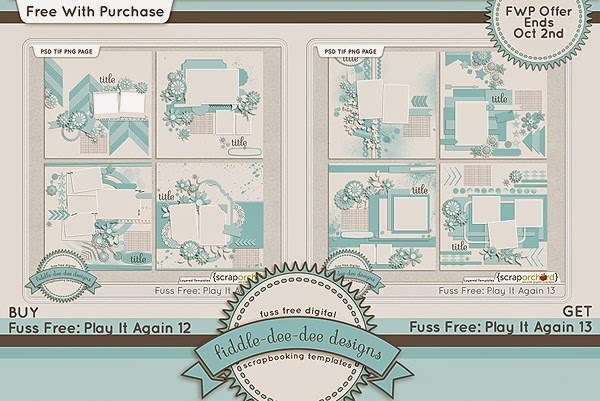 Be sure to take a peek at the navigation bar, especially the FREEBEES tab. You'll have one place to see all the freebees available for the month. In addition, you'll see a tab for TUTORIALS and a tab for WATCH CHERYL SCRAP. 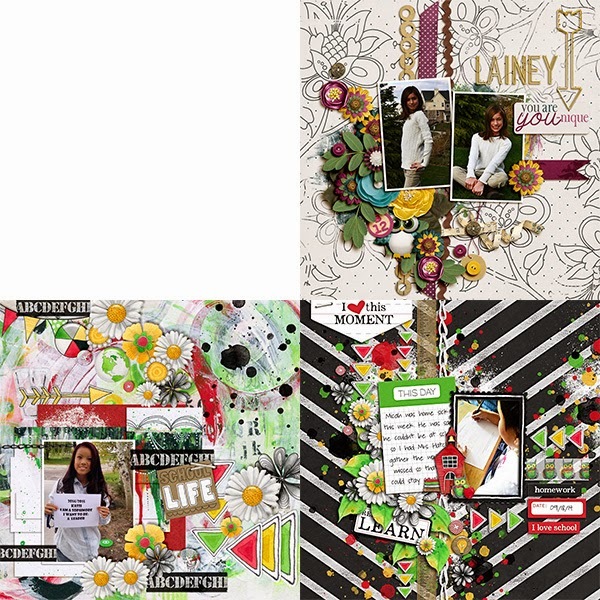 Those will direct you to my YouTube channels where you can view tutorials on a variety of topics as well as videos detailing my digital scrapbooking process. There are 12 days left in this month (including today), so there's still plenty of time left to jump in and join our monthly challenges. 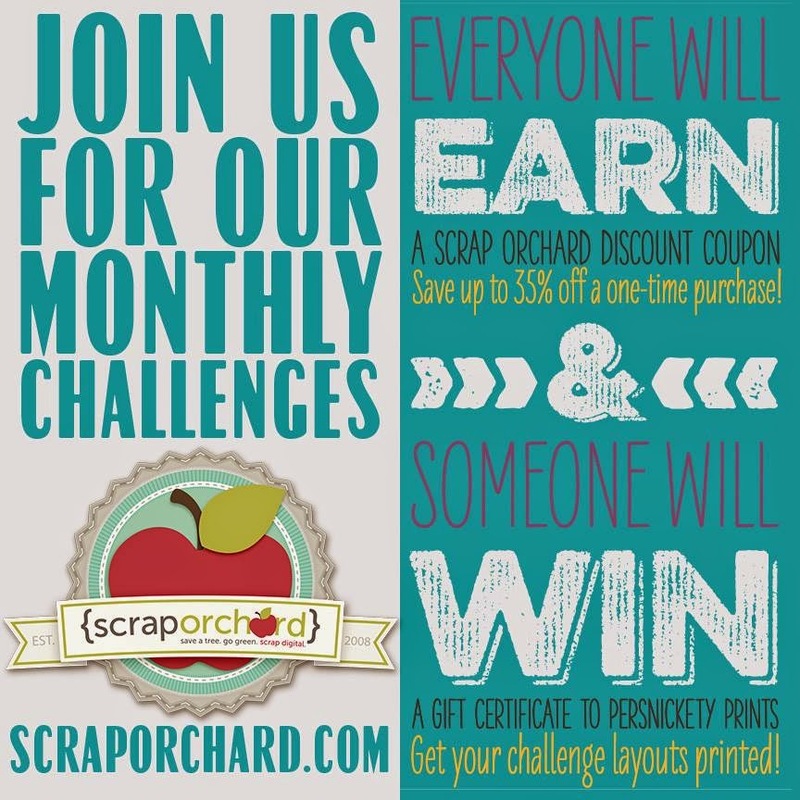 Each challenge you participate in earns you points, and the more points you collect, the larger the discount coupon you can earn (up to 35%). 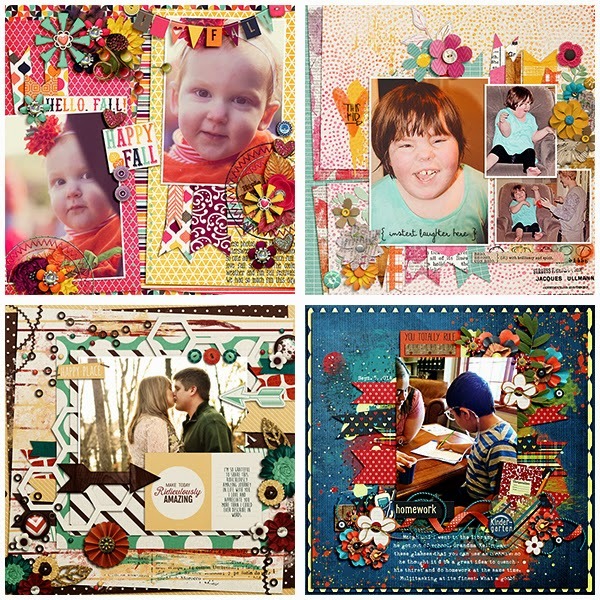 Also, one randomly selected challenge participant will get their challenge layouts for the month printed at Persnickety Prints! 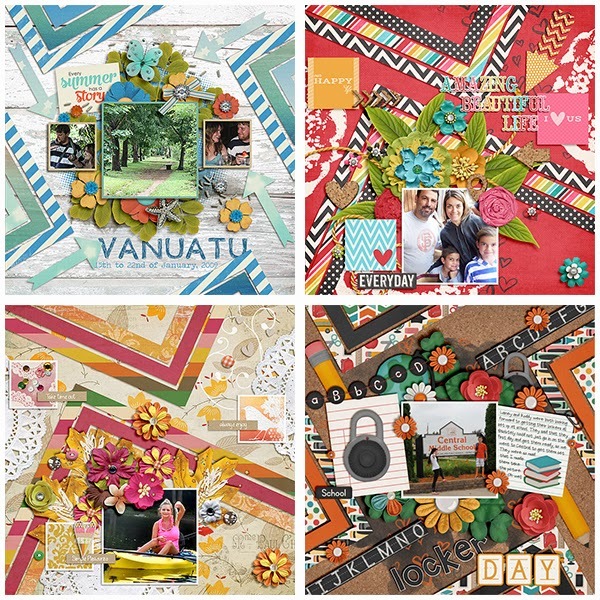 As if that wasn't enough, this month I've been watching the September Template Challenge and if I see that my template is used for the challenge, I've been giving a sweet little RAK too! Looking forward to seeing your pages!!! 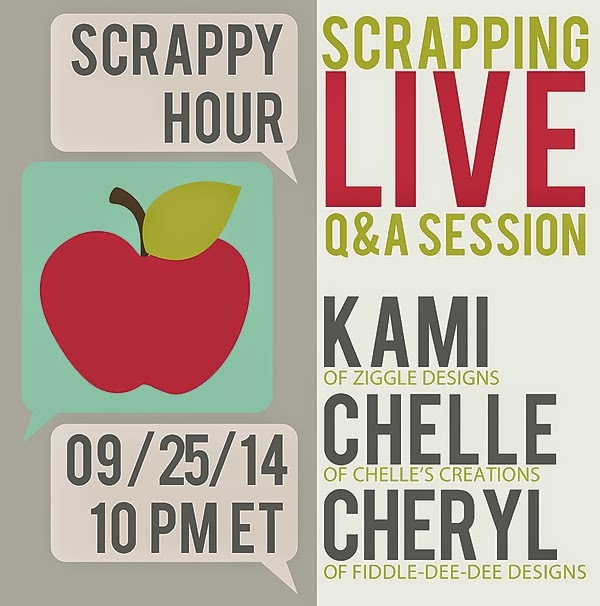 Join me on Thursday, September 25, 2014, at 10 pm EST for another Scrappy Hour! 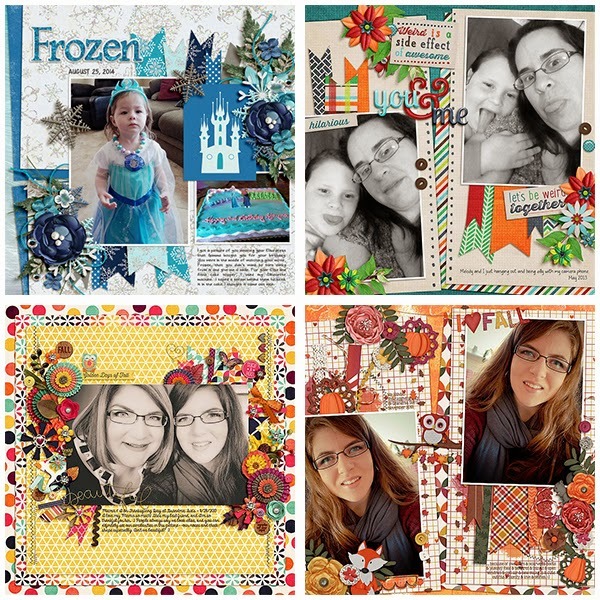 I'll be chatting with Kami of Ziggle Designs and Chelle of Chelle's Creations, and this week we'll be taking your questions about digital scrapbooking using Photoshop and Photoshop Elements. So get your questions ready and join us in the Adobe Connect Chat Room! See you then! 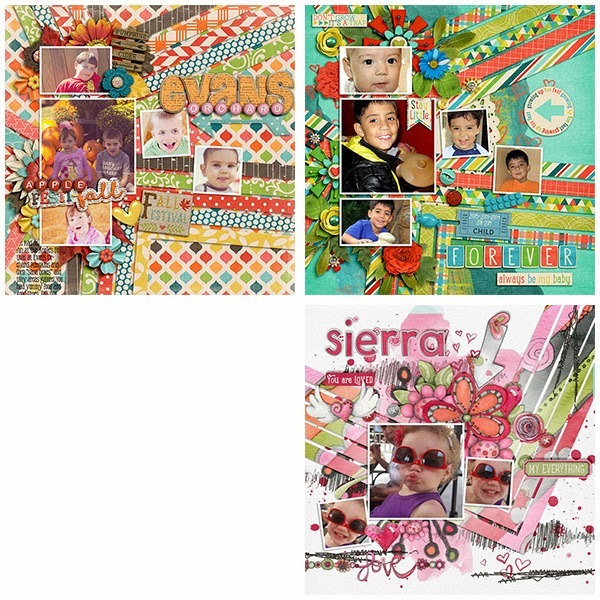 I'm delighted to have the opportunity to give away one FREE registration to The Busy Parents Guide To Digital Scrapbooking With Melissa Peterson Marti at Scrapaneers! 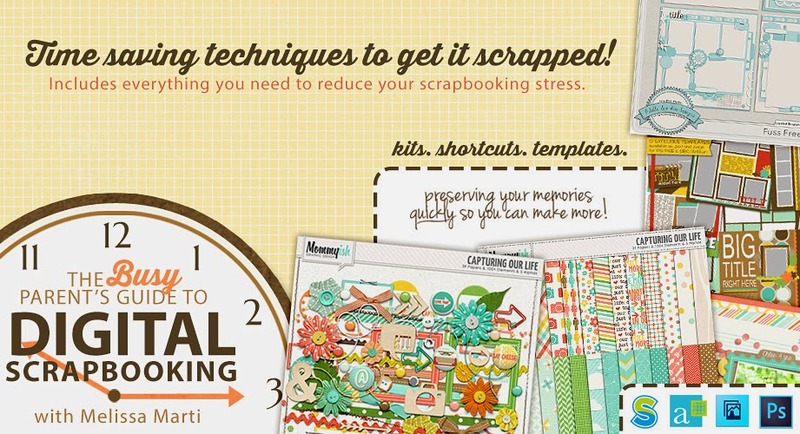 Melissa Marti, one of my dear creative team members, is teaching this fabulous course for busy parents at Scrapaneers. 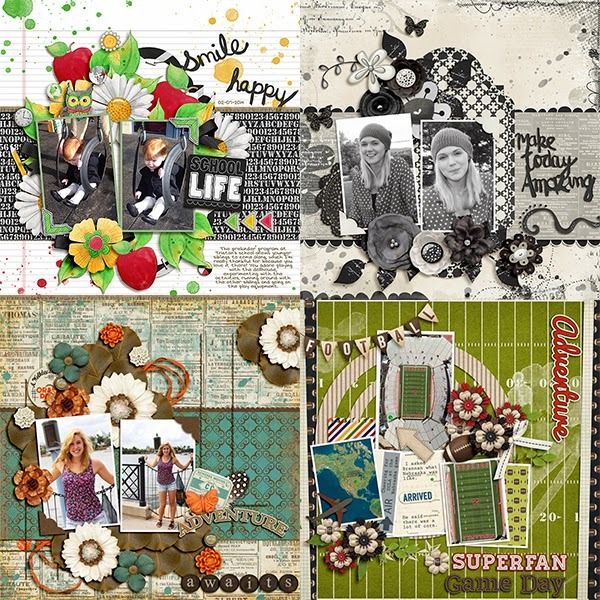 Included in the self-paced class is not only some wonderful content and inspiration from Melissa, but also a set of templates from me as well. 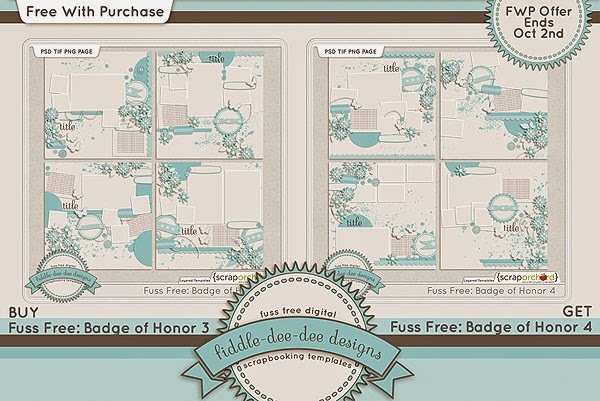 Visit the Fiddle-Dee-Dee Designs Facebook Fan Page to enter the giveaway! Giveaway ends Sept. 26th at 12:00 am EST. Thank you so much for stopping by, and I'd love to hear what you think about the new look here. 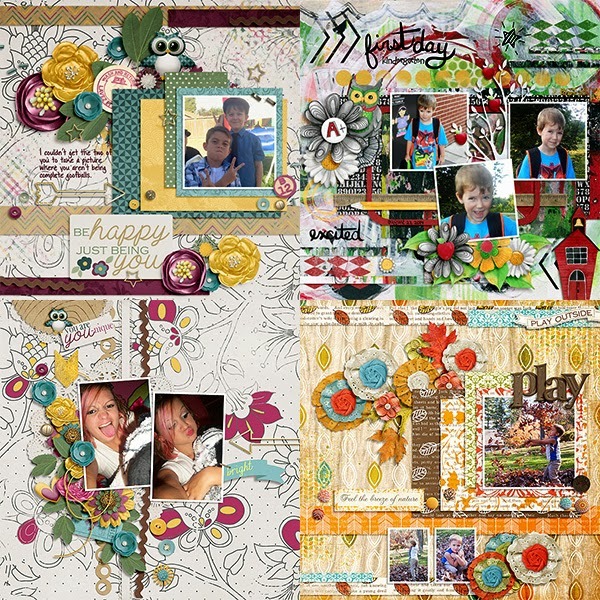 Until next week, Happy Scrapping! 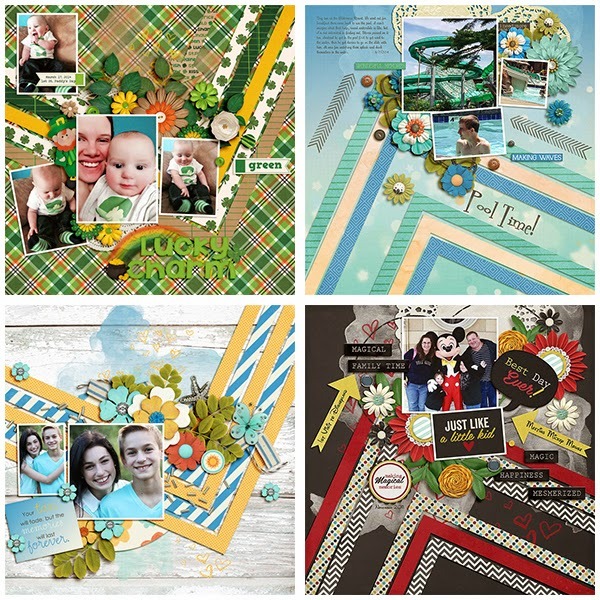 In Fuss Free: Straight To The Heart and Fuss Free: Straight To The Heart 2, large chevrons and arrows lead the eye straight to the photos, the heart of the layout. 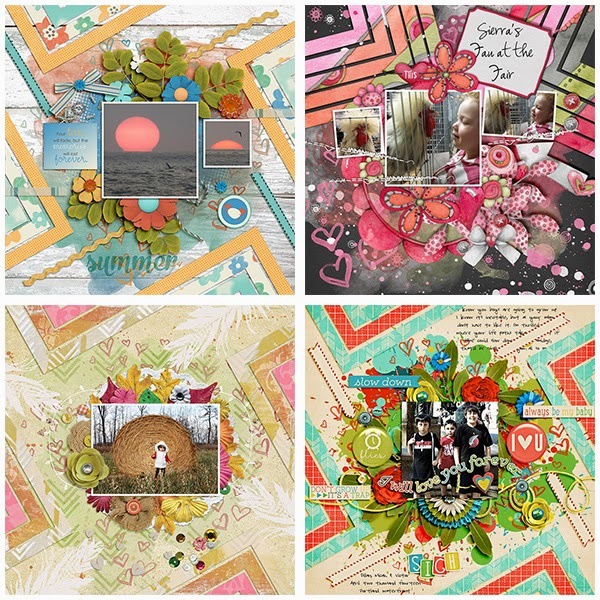 A background of paint and heart doodles, doilies and lovely leaf and flower clusters make these template packs striking and your layouts will definitely stand out in your albums! Purchase Fuss Free: Straight To The Heart and receive Fuss Free: Straight To The Heart 2 for free! Offer valid through September 18, 2014. 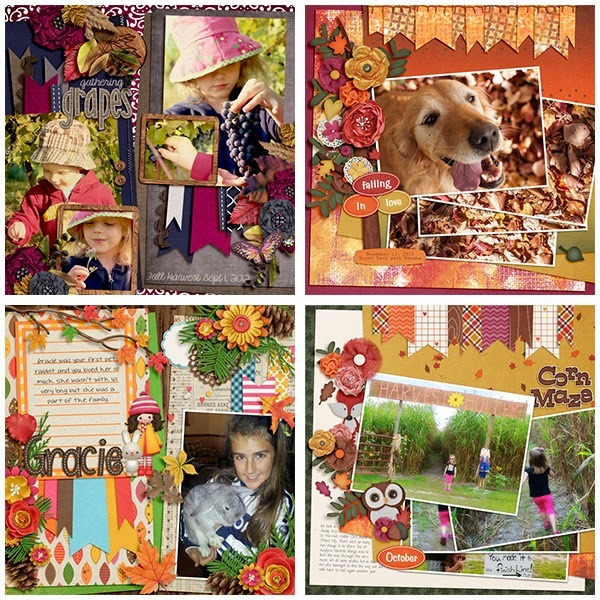 Last week I shared with you that my designs are in the September 2014 Scrap Pack at Scrap Stacks! 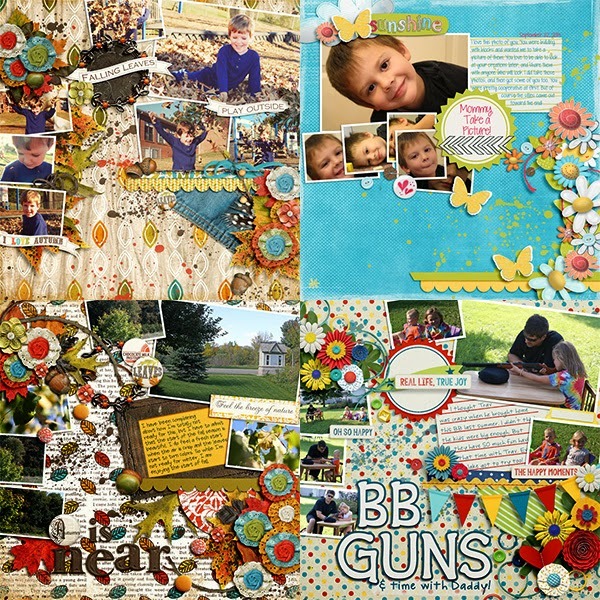 My template pack, Fuss Free: Summer Stories, was featured on Tuesday, September 9th, along with some fabulous example layouts as well as full interview. There's a coupon from me included in the interview and there's a chance for you to win $15, too! 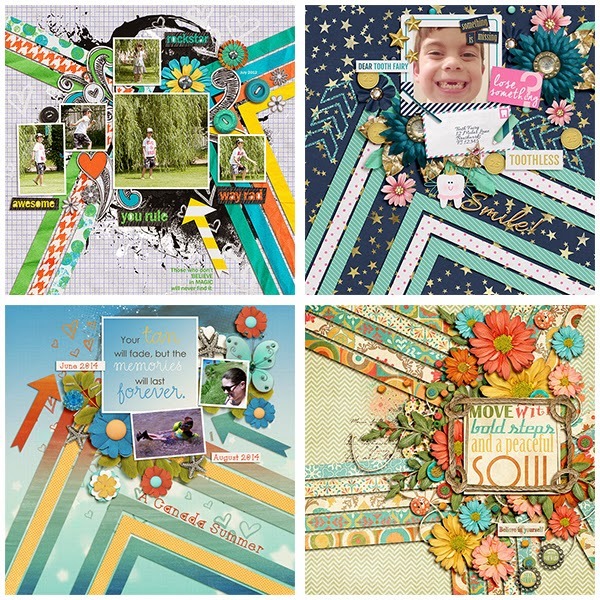 Don't forget to pick up this month's Scrap Pack! It's only $5 for all 4 of these products! 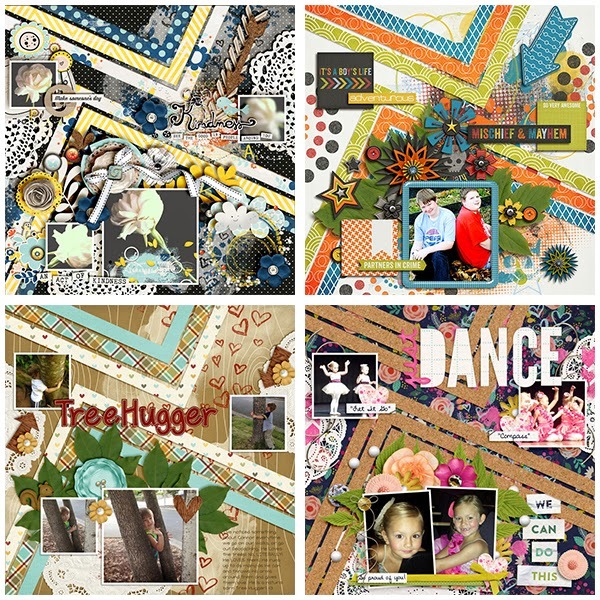 A new template from me is available now for the September 9th Template Tuesday on the Scrap Orchard Blog. 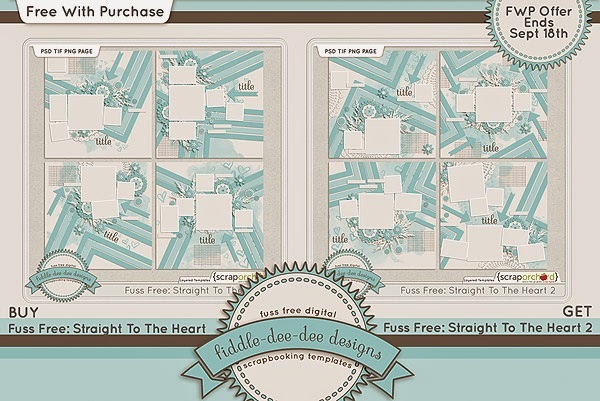 Click on the image to pop over to the blog to download this template for your stash! 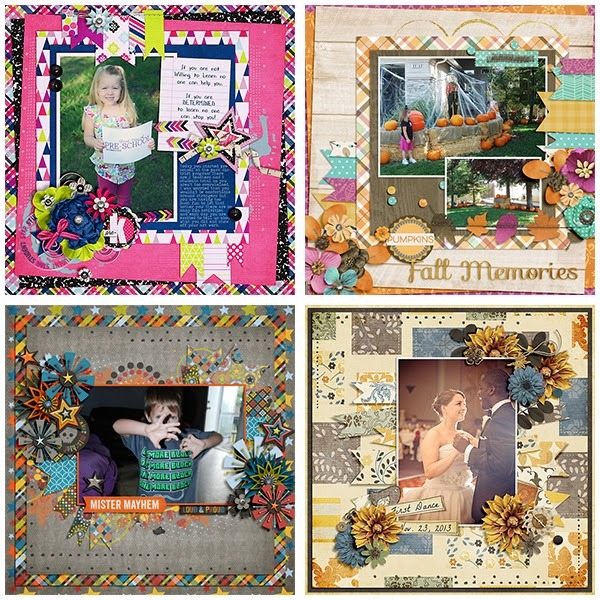 It's always my sincere hope that my templates will not only help you record your memories quickly and easily, but beautifully as well. Have fun creating this week!